I believe we all have a “Man in Chair” inside ourselves and, like him, every time we feel blue we play our favorite cast recording. For our pleasure, his favorite show is THE DROWSY CHAPERONE and he is willing to share its delights with us. Lisa Lambert & Greg Morrison came up with a truly original 20s musical comedy and the result is a joy to our hears and heart. Many people call it a pastiche score, but for me that don’t mean a bad thing, personally I think Broadway needs more scores of this kind. When I heard the “Overture” for the first time I knew this one was for me. I always had a thing for the 20s musicals and this score bring us back to a happier and simpler time, when a musical was just supposed to be fun and to entertain. On those times no one cared much about messages or pretended they were doing something important, they were just having a good time and, hopefully, so were the audiences. After playing this CD no one will doubt that the cast is having the time of their lives and everyone sounds just like those 20s stars. From Sutton Foster to the lesser-known Jennifer Smith, everyone is giving their best and the result is one of the best new scores in years. Even the CD booklet is a treasure and I don’t doubt everything about this show and cast recording was done with lots of love and respect for those old Broadway classics. The catchiest number is Foster’s terrific “Show Off”, but “Accident Waiting to Happen” is a gorgeous melody, Beth Leavel have a great time with “As We Stumble Along”, Danny Burstein give us the funny “I Am Aldolpho” and the entire cast delivers the contagious “Toledo Surprise”. In fact, every member of the cast as a chance to shine, and shine they do. I’m glad that it won the 2006 Tony for Best Score and I hope there would be more like this one on Broadway. So, put all your troubles away and enjoy this delicious traditional Broadway score. A MUST! 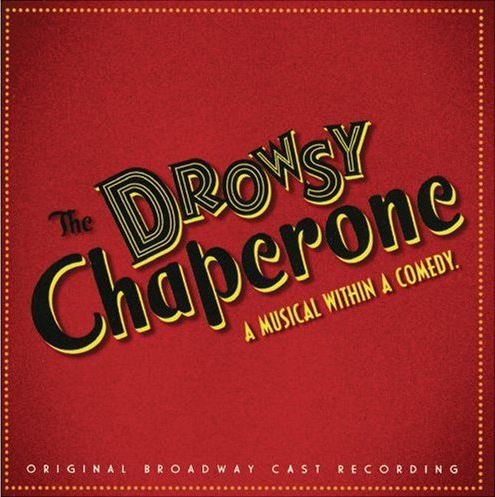 I must confess that I want to play Man In Chair in a production of The Drowsy Chaperone, sometime before I die, because I am Man In Chair! I have seen this delightful musical in several incarnations during its development in Toronto. Each production was bigger and better than the previous one but each was hilarious and tuneful in its own right. 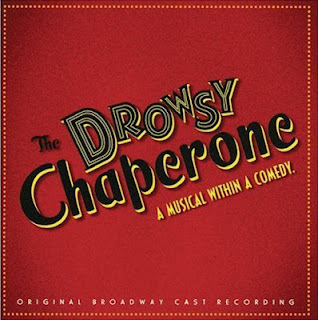 I have laughed til I nearly peed each time I heard "Monkey On A Pedestal", "As We Stumble Along", "Adolpho" and all the other songs in the score. I could watch this show once a week and never tire of it. It is the perfect show for everyone, but especially for musical theatre geeks like me. And I am so proud of its Canadian origins. Like you I feel I am the Man in the Chair! I simply loved this musical and its one of the best I ever saw live on stage. I think it's an hilarious and passionate work of genius and I wouldn't mind seeing it time after time.